Kansas City, Mo. 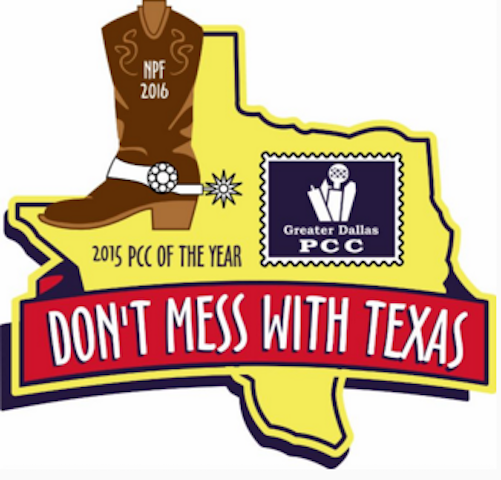 - Tension is proud to recognize the Greater Dallas Postal Customer Council (GDPCC) for receiving the 2015 PCC of the Year Large Market award from the U.S. Postal Service (USPS). Tim Plunk, General Manager, Tension Corporation, Envelope Division and member of the GDPCC board of directors, worked tirelessly with fellow board members to help the GDPCC gain this esteemed recognition. "Winning PCC of the Year is a huge honor," said Plunk. "As a PCC we've worked toward this award for several years. It truly recognizes all of the hard work we've put into developing valuable educational programs and services for our members." Across the country, more than 150 active PCCs serve as a conduit between mailers and the USPS. Through educational programs, open lines of communication and solid relationships, the PCCs help mailers and the USPS successfully work together. "A PCC provides one of the most important functions in the mailing community," said Plunk. "A strong PCC results in a strong community of mailers. That's evident in Dallas. We have the largest amount of outgoing mail in the United States. I'm confident this results from the relationship between mailers and the USPS provided by area PCCs." Each year the USPS recognizes PCCs for their achievements and creativity in communication, leadership, membership growth, innovation and educational programs. In addition to PCC of the Year, the GDPCC took home a gold award in communication and silver awards in innovation and education. As chair of PCC Day, an all-day professional development event for GDPCC members, Plunk played a role in helping the chapter take home the innovation and education awards. During his time as chair, Plunk moved PCC Day from a traditional convention center to Globe Life Park, home of the Texas Rangers. This outside-the-box thinking elevated PCC Day in the area. "Tension associates actively participate in local PCCs," said Toby Reed, Vice President of Sales, Tension Corporation, Envelope Division. "Our customers benefit from the knowledge, expertise and relationships gleaned through our involvement. They regularly tell us one of the things they appreciate most about working with Tension is our associates' know-how and service. PCCs help us best serve our customers." The GDPCC will be recognized at the National Postal Forum (NPF), March 20-23, 2016 in Nashville, Tennessee. Attendees will gather in Music City for educational seminars and networking. Like the mission of a PCC, the NPF provides education and communication between the USPS and business mailers. To learn more about Tension or speak with a Tension Sales Associate, visit booth #317. To learn more about the GDPCC visit www.dallaspcc.org.